Rate this Article Buying great games has never been cheaper or more convenient with Kinguin, the largest alternative games marketplace! Looking to buy cheaper games, win some amazing freebies, or are you looking to buy or sell your CS: GO skins? If you answered yes to any of the above questions, then you're in luck! Kinguin is definitely the website you'll want to be on right now! 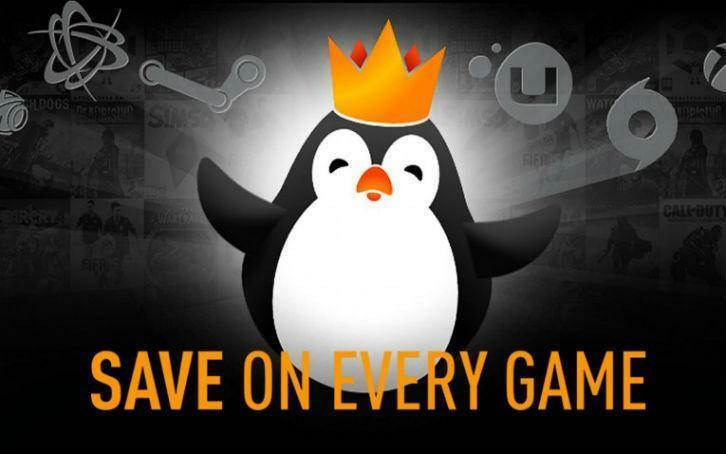 Kinguin is among the largest alternative games marketplace to popular platforms like Steam, EA's Origin, Battle.net, and Uplay. It offers a wide variety of games ranging from some of the biggest triple-A games like Mass Effect Andromeda and Player Unknown's Battleground right up popular indie games through the site's Indie Valley section where you can buy indie games from the developers themselves. This means that most of the money you spent on indie games goes directly to your favorite indie developers, giving them the means to fund more projects, to update their existing game/s more frequently, or, in other words, to grow. The website itself is also incredibly user-friendly, allowing its users to easily search for and find deals that best suit their tastes. There are plenty of helpful genre and platform filters that a user can use to narrow the tons of games available down to the few games that they are truly interested in. If you're unsure what games to get, you could even take a gander at the site's bestsellers and discover your next favorite game. Kinguin offers bundles from time to time as well, such as the site's latest “Stealth bundle” which contains the top 5 Stealth games on Steam. Looking to get someone a gift instead? The Kinguin gift card is definitely the perfect fit! After all, straight-up buying a game as a gift to your friend might just backfire on you – Your friend might already have that exact game. Not to mention, Kinguin provides its users with a vibrant and bustling CS:GO skins marketplace where players can buy and sell their CS:GO skins. They have also partnered with Skin Arena to offer a CS:GO jackpot whereby players can gamble their cash on the chance of winning an exclusive CS:GO skin. Want to buy or sell while on the go? Kinguin even has its own app that's available on both Google Play and the App Store. Of course, Kinguin often organizes giveaways too, where participants will stand a chance to win amazing gifts. So, you might be thinking.... why should I buy games or CS:GO skins from a third party site like Kinguin? Well, being an alternative games marketplace does have its challenges, but Kinguin has managed to earn the confidence and patronage of over 4 million users so that's a solid reason right there. If you're still not convinced, the website itself offers a Buyer's Protection policy with a 30-day money back guarantee. The site accepts a wide range of payment methods, including the common VISA, Paypal and Paysafe Card to WebMoney, Bitcoin and even its own virtual wallet, Kinguin Wallet. All your account information on Kinguin is also secured by GeoTrust. Aside from being a marketplace, Kinguin even has its own YouTube channel where it covers tourneys played by their sponsored TCS:GO eSports team, Team Kinguin, along with interviews with game industry experts, game trailers as well as shows hosted by their in-house YouTuber, NiP Zappis. So, are you eager to get started? Head on over to Kinguin now and check it out! Don't forget to drop by the site's giveaways section to see what sort of goodies you could win as well.